Ok, so we all know that photographers love their tools of trade, probably more than professionals from other fields of work, except F1 drivers and pilots. Not only do photographers love their cameras and lenses, but sometimes they will go to great lengths and make financial sacrifices to get the best and latest camera equipment. There are a number of reasons why a photographer wants to buy a new camera. One of them can be image quality. As a pro or advanced amateur, you want to keep up with technology and most of all customer demands. Image quality is an essential part of a successful career in photography, but it isn’t everything. Besides, a pro body should still be useable in the market five years after it comes out. Next, you have the need for a backup camera. Most photographers who respect themselves will have one, so it is a pretty solid argument. Not having a backup camera will be considered a mistake in some cases. Then, there is of course the simple fact that photographers love new cameras and that that they will make financial sacrifices often for no reason other than playing with a new toy. You can label it as right or wrong, but you probably shouldn’t. It’s also one of the drives that camera manufacturers rely on heavily. The real problem for a lot of photographers is that they buy new cameras with certain expectations that are often unrealistic. To keep it short, they expect their new cameras, which are usually worth well over $2000 to turn them into better photographers. When of course they realize that isn’t going to happen, they feel disappointed and often blame themselves for making the decision or not changing the brand. A new camera can make you evolve as a photographer but, it might not be in the way you think. First of all, this doesn’t really apply to beginners and first time DSLR users. They buy their cameras to learn on them and that pretty much settles things. This goes out to amateurs and pros who feel stuck in a creative rut. Now, simply buying a new camera is clearly not a solution. If it was, things would be a lot simpler for everyone, but there are some common things that happen right after you buy a new camera. A new camera will also numb your senses. Even if it’s an upgrade with the same control layout, it’s still a brand new camera and it will take some time to get used to. The real good thing about buying a new camera, besides the obvious technical improvements, is the moral factor. It can be a very big deal in the life of a photographer, partly because it is usually a change that doesn’t come easily. 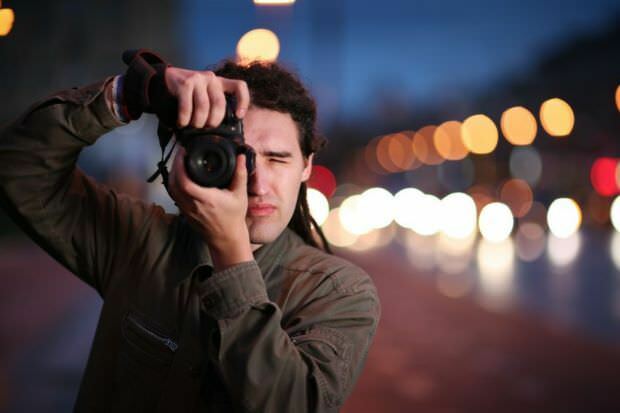 It won’t make you a better photographer per se, but it can get you out of that creative rut. One camera that is well known for having this effect was the Fuji X100. It brought back passion that seemed lost for many. And that’s part of what a camera should do. It shouldn’t just be a machine that takes incredibly sharp pictures of whatever garbage its master points it at. It should be an extension of artistic vision and an instrument that captures it. More and more cameras that give this feeling are coming out, including the Sony A7 and Fuji X-T1. Maybe it has to do with the entire retro/vintage movement that sparks emotion in many other fields. Or maybe it’s about new and exciting technology. Underneath it all, I believe most photographers have a hidden child deep inside. A new camera, be it a DSLR or not is like a new toy, and we all know the impact of a new toy on a kid.